EarthByte have launched a new cloud-based GPlates Web Portal that was used by almost 40 000 users over the last long-weekend! It took GPlates software over ten years to get that many users, so this is a huge achievement and also makes GPlates accessible to a broader audience! 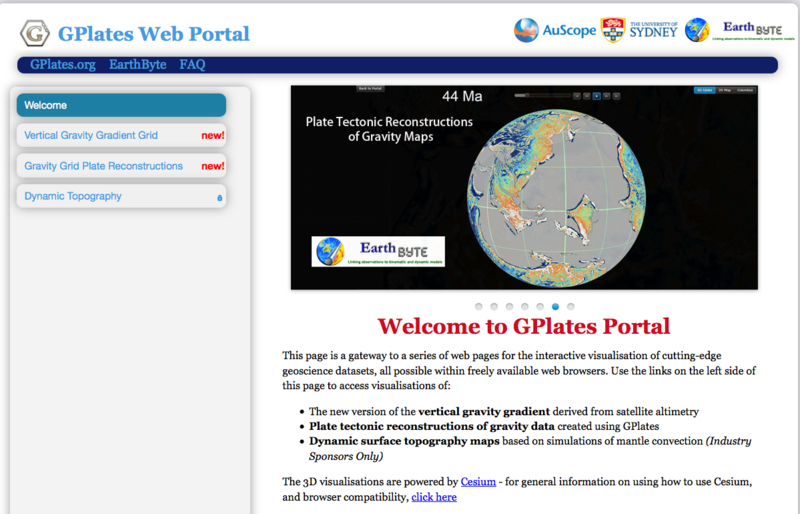 The GPlates portal can be used to explore the new global gravity map in 3D and to interactively reconstruct the gravity field from 200Ma to the present in a web browser (hint – use Chrome, not Safari). A big thank you to Michael Chin for leading development of the Portal and to Simon Williams, Sabin Zahirovic and Carmen Braz for their help in the lead up to launching the new portal!